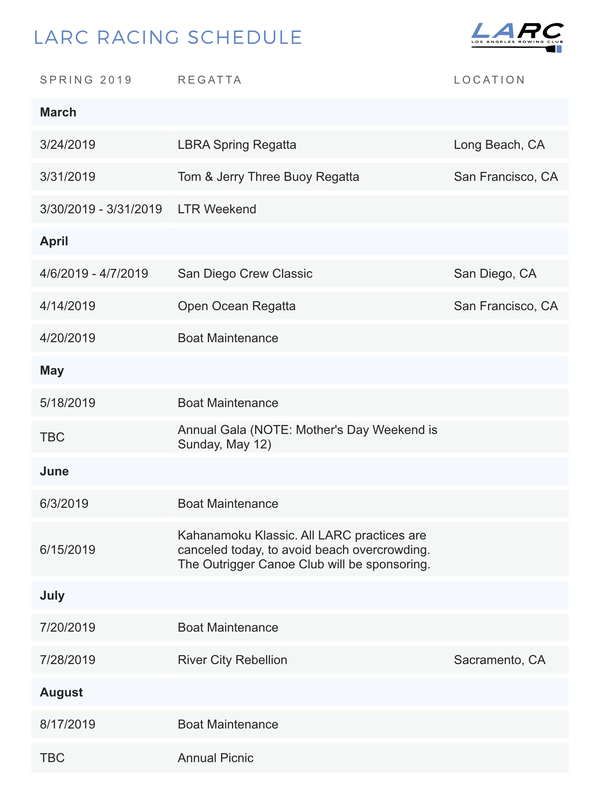 This is a partial listing of local, regional, and national races that might be of interest to LARC teams. If you are interested and need additional information contact Daniel Camin, danieljcamin@gmail.com. ​For more races, go to regattacentral.com and USRowing.org.